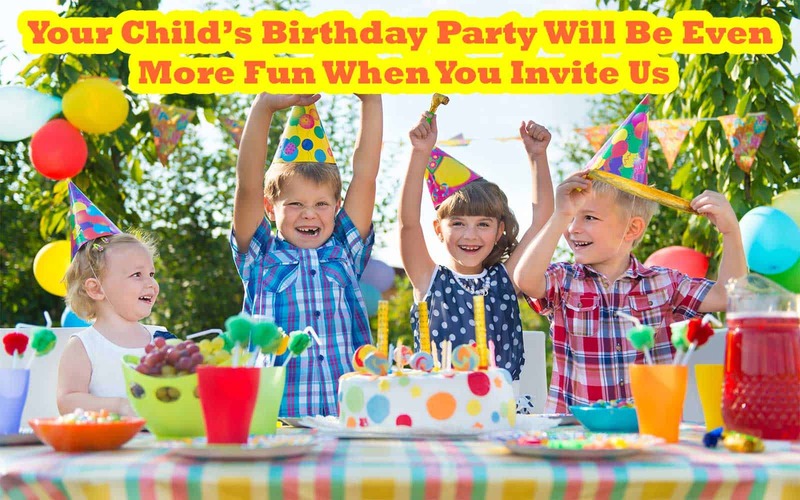 Home » Do You Offer Birthday Parties At Your School? Over the years, several instructors have told us they do not offer Birthday Parties at their school or they quit doing Birthday Parties because they did not generate students from hosting them. Some instructors said that their school was too small or they did not have enough students or that they did not have enough time to justify doing Birthday Parties. Caution, such statements can be self deceptive falsehoods and the very utterance of them can trap the speaker in a self fulfilling prophecy of school stagnation and lack of growth. For school owners who are too busy or who do not have time to dedicate to hosting Birthday Parties, (Been there, done that!) then consider DELEGATING this opportunity for your school to your PVT Committee or your future instructors who are enrolled in apprenticeship programs or assign the opportunity to your current certified instructors in your school. Perhaps you need to get out of your own way? When you allow others to take over a task you are too busy to do yourself, surprising things may happen. Delegating Birthday Parties to your PVT or Instructors will only require only a small amount of your time until your class enrollment starts growing and you have more students to manage and larger classes to manage, etc. etc. etc. All good problems, right? Some instructors reported that they were GOING TO the child's home to do the party. Mistake. When other instructors were asked how they collected lead information so they could follow-up and offer a birthday party to all the other kids at the party, some said they did not try to collect names and info because it was too much trouble. Others instructor said they DID collect names and birthdates and info for the other children in attendance at the Birthday Parties but reported that they often stuck all the forms in a desk drawer and got too busy to follow up. Some instructors said they wanted to implement a "Birthday Club" marketing plan but consistent monthly follow-up was too much trouble. Consider the super simple, free to use for Certified Schools, automatic, completely automated Better Birthday Club for your school Keyword system that you can activate in minutes. Still other instructors reported various reasons that they do not offer Birthday Parties, but many growing schools have devised a birthday party formula and a year round plan of action that generates a steady stream of new students for their school all year long, month after month and year after year. Think about it, if you incorporate birthday parties into your ongoing EVERY MONTH YEAR ROUND school offerings sorta like another type of Intro Lesson or Trial Lesson or Introductory Course and a child attends a birthday party this year, even if they do not sign up, you may have another opportunity with them next near. Birthdays are not seasonal. There are just as many birthdays happening during the summer doldrums as there are any other time of the year. Birthday Parties can even help you recruit new students during the dead of summer. When you use the automated Keyword system, you get lots of other opportunities to enroll them and it all happens automatically. What is the secret formula for a successful birthday party format? Design your party activities to inspire, educate and motivate kids to be so excited about what they did during the party, that they will tell their parents how much they want to enroll at your school. Design your party activities to instill at least one new behavior in the child that they will carry home with them after the party and which the parents will observe and perceive a very positive benefit their child gained from your influence in such a short period of time. ← How Do You Describe Your Intro, Trial or School Offerings To The Public?